Literary Classics: The International Family Guide to US University Admissions earns the Literary Classics Seal of Approval. The International Family Guide to US University Admissions earns the Literary Classics Seal of Approval. For international parents and students trying to navigate the muddy waters of U.S. university admissions the task can be daunting at best. 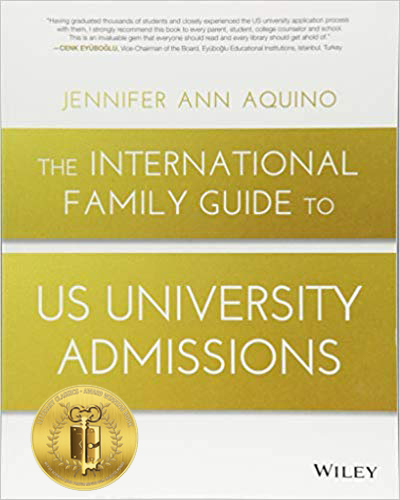 Author Jennifer Ann Aquino’s The International Family Guide to US University Admissions can be an invaluable tool for making sense of the processes involved. This guidebook offers step-by-step guidelines along with a timeline of the U.S. University’s admission cycle, helping users pace themselves as they prepare to perform critical tasks such as submission forms and visas. Covering everything from evaluation processes to selecting the best school and even what to include in essays, this easy to read and well-organized book is thorough and insightful. Recommended for home and school libraries, The International Family Guide to US University Admissions has earned the Literary Classics Seal of Approval.